Enjoy targeted warmth in turbo time to ease aches and pains or when you just can’t get warm! 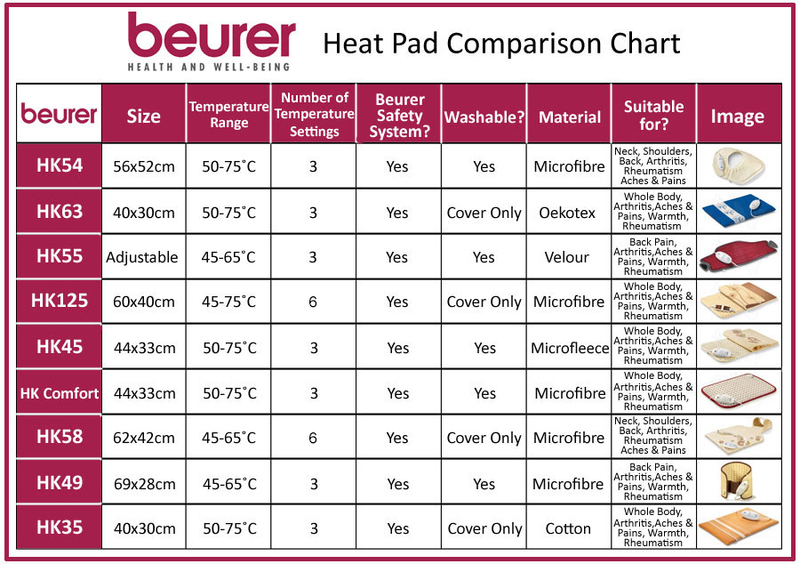 If you haven't heard about Beurer Heating Pads you are in for a treat! This best selling German brand have waved their magic wand and created a range of portable heating products to keep you cosy and give pain relief- any time, any place! This Beurer heating pad is perfect for delivering targeted heat wherever you need it for as long as you need it, but it’s the turbo heat function of the Beurer HK35 Therapeutic Heating Pad that makes it that little bit special. Heating pads are a safe, cosy and perfect replacement for hot water bottles, eliminating the mess, leaks and hassle of having to start again when the water quickly goes cold. The Beurer HK35 Therapeutic Heating Pad delivers soothing heat that can help ease pain and relax muscles; cuddle your Therapeutic Heating Pad if you suffer from stomach aches or abdominal cramps; place behind your back as you sit or lay to ease back ache; place on your knees, neck and shoulders to ease stiffness or symptoms of arthritis; or simply cuddle your heating pad to stay warm and cosy. It’s the heat the Beurer HK35 delivers that is so effective for pain relief as it promotes healthy circulation to deliver oxygen to the muscles. 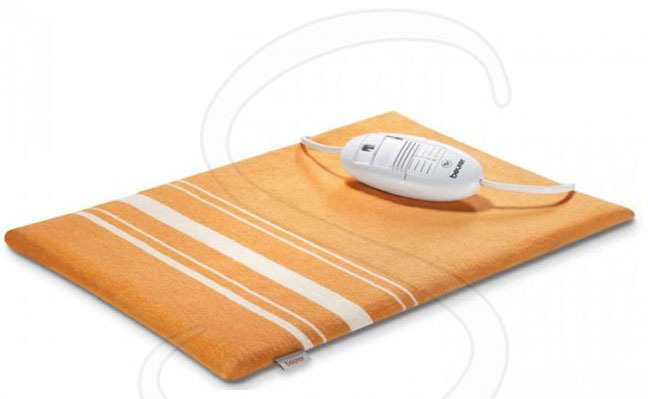 With turbo heating power and a choice of 3 temperature settings, the Therapeutic Heating Pad is so versatile and great for the whole family to use. The Beurer HK35 Heating Pad has a cable that is 65cm from the heat mat to the controller, the cable then measures 160cm from the controller to the wall socket. Beurer says 'Safety is the most important issue when it comes to flexible heating products. We are well aware of this responsibility and therefore use the well-tried and well established Beurer Safety System in all our under blankets and heating pads. The electric sensor technology prevents overheating in case of misuse by automatically switching the heating pad off, ensuring the highest possible safety always. With Beurer BSS you can be assured of a safe and undisturbed sleep at a pleasant temperature. Charlotte Kemp - Daily Mail Writer tried and tested the Beurer Heating Pad!